Thinking About WHAT You Did: How Did I Do? 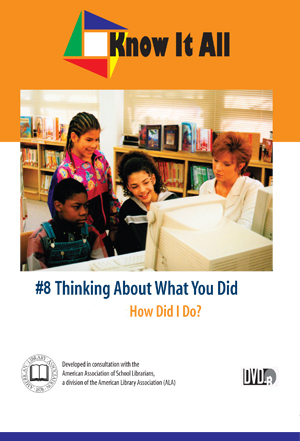 Home > • Language Arts > Know It All > Thinking About WHAT You Did: How Did I Do? Having some of the right information doesn’t always lead to the right answer, as Glenn and Taylor discover when their initial attempt to build a hovercraft falls flat. Helped by an uncle and a rubric, they retrace their steps, adjusting until they finally launch their “Flying Pizza” successfully. Your students learn to ask questions about why a project might fail, what might be wrong with the information, and what they need to do to help a project succeed.